Malta is the bigger winner as HM Revenue and Customs confirms its new list of recognisedQROPS. David Matthews reports. Malta has secured its position as a leading hub for the pensions transfer industry after HM Revenue and Customs published on Thursday its new list of jurisdictions which meet the conditions to obtain Qualified Recognised Overseas Pensions Scheme (QROPS) status. HMRC’s review will, undoubtedly, give some jurisdictions an increased slice of the market, say industry experts. Nigel Green, CEO of the deVere Group, the firm responsible for almost half the £1.3 billion which have been transferred from onshore to offshore pension schemes since 2006, says: “We fully expect Malta, an English-speaking, EU member state, to secure its position as the fastest-growing hub for pension transfers. We’re delighted that it has rightfully retained its place on HMRC’s recognised list. “This jurisdiction currently has 59 double taxation agreements – and it’s clear that HMRC is demanding that some tax is paid. 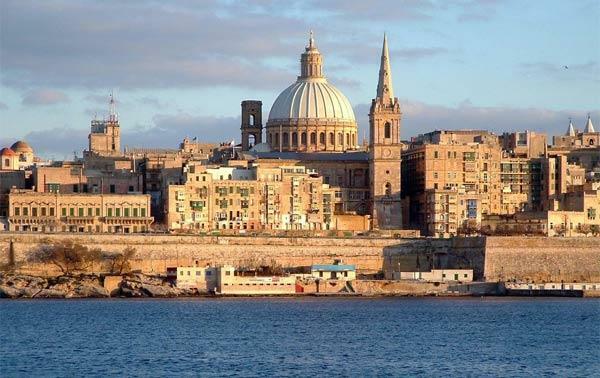 The deVere Group, which has long used Malta as its preferred jurisdiction, believes the “already burgeoning overseas pension transfer market” will flourish further. Whilst the UK tax authority’s new list is good news for Malta, another jurisdiction, Guernsey, has lost out with HMRC scrapping 300 Guernsey-domiciled QROPS from its ‘recognised’ register. The reason behind the move is due to concerns regarding the island’s ‘third-country’ policy. HMRC says it is simply enforcing the rules that for a scheme to qualify for QROPS status it must provide the same opportunities and tax benefits for residents and non-residents alike. Guernsey had planned to address these concerns with the introduction of its 157E Scheme, which permits residents and non-residents to access tax-free advantages, but Thursday’s HMRC list seems to have also ‘knocked this on the head’ too. The disqualification of these schemes is a major setback for the island which had hopes of expanding its pension transfer sector further, a major local wealth and employment generator. Indeed, since the introduction of QROPS, it is understood that 10 per cent of all funds that have been transferred out of the UK have been moved to Guernsey. Such was the jurisdiction’s popularity, in the first half of 2011 alone it enjoyed a one third market share. Simon Jones from http://www.qrops.net/QROPS.net, the independent advisory service, says: “HMRC’s stance could lead to the gradual decline of Guernsey’s overseas pension transfer market which has, until recently, been a preferred QROPS jurisdiction since they were first introduced in 2006. Many Guernsey-based IFAs have spoken of Guernsey being “unfairly targeted” by HMRC, following last week’s announcement. Similarly, the Guernsey Association of Pension Providers (GAPP) said in a statement that HMRC “appears to have targeted Guernsey in its review of QROPS providers, as set out in the latest list of recognised QROPS schemes published today”. It added: “Not only have the schemes of leading QROPS providers been delisted, but so have the schemes of major employers, including the States of Guernsey scheme for public employees,” the organisation added. With the Guernsey QROPS industry facing uncertainty, HMRC has been to stress that the enforcement of the regulations would not affect those who have transferred into a QROPS in Guernsey in the past.